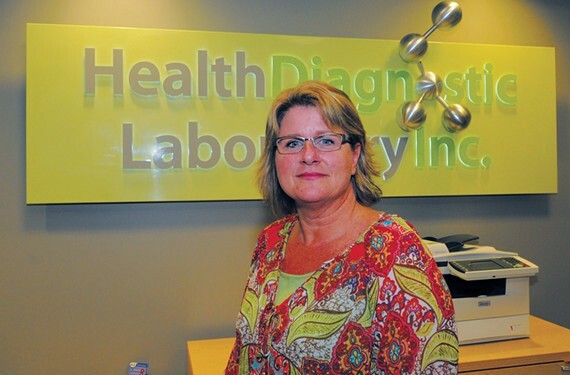 Tonya Mallory, who resigned in September as chief executive of Health Diagnostic Laboratory, faces new legal problems now that HDL has agreed to a $47 million settlement with the federal government over alleged kickbacks to doctors. As part of the settlement announced yesterday, the U.S. Justice Department has intervened in two whistle-blower lawsuits against her. A U.S. attorney in South Carolina has told The Wall Street Journal that criminal charges against Mallory are a possibility. Mallory said through a lawyer that she'll fight any government evidence against her in court, the Journal reports. She has said she left HDL for personal reasons and now works at a small company in Crewe. Mallory, along with Cal Dent and Brad Johnson -- two top executives of BlueWave Health Consultants, an Alabama health marketing company with close ties to HDL -- were excluded from the settlement. The Justice Department is also intervening against Dent and Johnson in the same whistle-blower lawsuits. A whistle-blower lawsuit, also called “qui tam” lawsuits, involve plaintiffs who believe there is wrongdoing, get legal protection and could receive compensation from any settlement. According to a Justice Department news release, the whistle-blower lawsuits were filed by Dr. Michael Mayes, Scarlett Lutz, Kayla Webster and Chris Reidel under the qui tam provisions of the False Claims Act. Mayes, Lutz and Webster live in South Carolina and Reidel is reported to be a former health care executive in California. HDL had been paying doctors from $10 to $17 in “handling fees” for each sample of blood they sent to the lab for testing that included heart disease, the Justice Department says. The company stopped making the payments last year after the Department of Health and Human Services questioned it, according to HDL. “When health care companies pursue profits by paying kickbacks to doctors, they undermine a patient’s ability to trust that medical decisions are being made for scientific reasons, not financial ones,” said Acting U.S. Attorney Vincent H. Cohen Jr. of the District of Columbia. “Those kickbacks also harm the taxpayer because they drive up the cost of federal health care programs with medically unnecessary tests. This significant settlement shows our determination to work with whistle-blowers and our federal partners to defend the integrity of the health care system from illegal agreements that hurt patients and taxpayers," Cohen said. Much of HDL’s marketing was handled by Blue Wave until earlier this year, when HDL ended its contract with it. From 2009 to 2014, Mallory and BlueWave’s Dent and Johnson received compensation totaling nearly $200 million from the marketing arrangement, the Journal reports. Joe McConnell, who replaced Mallory as chief executive of HDL, severed his firm’s ties with BlueWave earlier this year, sparking an exchange of lawsuits between the two firms. The lawsuits were dropped. But HDL still faces a lawsuit alleging fraud from Cigna, a Connecticut insurance company. According to the settlement, HDL will be placed in a special monitoring program for five years. In the meantime, it will be allowed to continue in federal health care program such as Medicare, Medicaid and Tricare, the company says. The settlement also includes a $1.5 million payment from Singulex Inc., a California company. The Justice Departmentis also intervening in whistle-blower lawsuits in Berkeley HeartLab, where Mallory worked before she left to co-found HDL in 2008.